Wildlife enthusiasts shouldn’t miss Península Valdés in the Atlantic Patagonia region. While seemingly unfit to host life itself, it is the surrounding waters and the sea life that thrives thereunder which beckons a visit. Península Valdés is a 1,544 square mile sandy promontory, thrusting 62 miles eastwards into the South Atlantic; a true marine-mammal haven whose 249-mile shoreline is a stunning sprawl of towering cliffs, sandy and pebble beaches, intertidal mudflats, coastal lagoons, rocky reefs and hidden inlets enclosed by a resounding surf. Marine life both big and small reside here, perhaps the most alluring spectacle being the southern right whales that take rest in the peninsula’s natural bays, their breeding and nursing grounds between June and November. Dolphins; southern sea lions; southern elephant seals; a high diversity of birds including Magellanic penguins (depending on the year); humpback whales; and orcas (killer whales) are no strangers to these parts—the latter an undoubtedly rare wildlife opportunity in themselves, for the pod that scout these grounds in search of sea lions is 1 of only 2 in the world that have taken to ingeniously beaching themselves in hunt for food. Land mammals such as the rhea (relative of the African ostrich), the guanaco (related to the llama), and the mara (resembling a large hare), are also large in number. 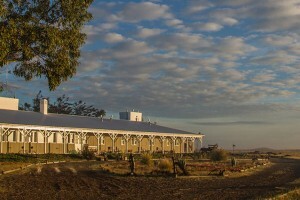 Although the peninsula’s nearest town, Puerto Madryn, bustles with tourism and industry, as the gateway to Península Valdés, it makes for an excellent base from which to explore the region, with other regional highlights such as the Magellanic penguin colony found at Punta Tombo and the Welsh settlement at Gaiman only a short trip away. From the end of June to the end of August, you can also enjoy whale sightings.